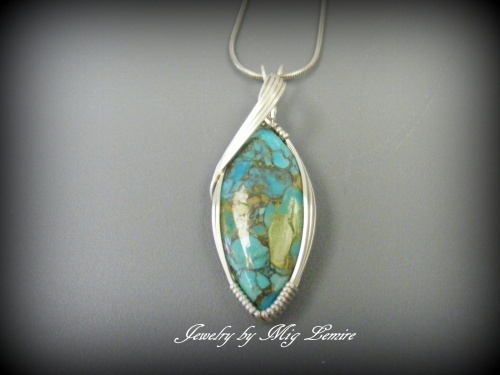 This sterling silver pendant is Turquoise matrix with some copper deposit. Its beautiful and very dramatic all wrapped in sterling silver Argentium (doesn't tarnish as easily). One of a kind. Measure almost 2" long and 3/4" wide. Comes with a sterling silver snake chain.